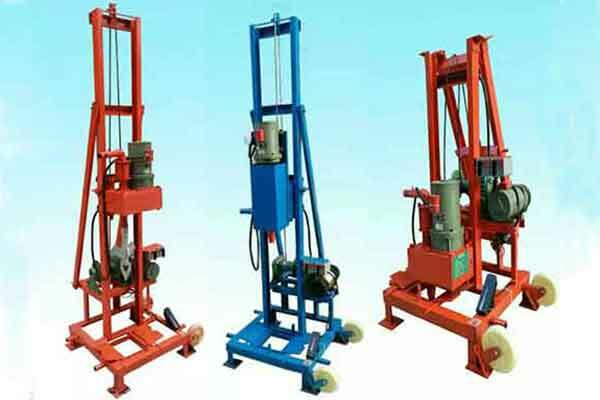 Steel bar cutting machine is a very common rebar processing machinery, which is widely used in the cutting work of various types of steel bars. The rebar cutter for sale in Henan Yugong Machinery Co.,Ltd is produced according to the JG/T5085-1996 standard and is suitable for the cutting of ordinary carbon steel, hot rolled round steel, deformed steel bar in varieties of reinforced concrete construction projects, as well as flat steel, square rebar and angle reinforcement bars. 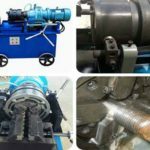 Steel bar cutting machine can be said to be the most widely used and ideal steel cutting equipment in the construction and machinery industry, such as, building, airport, tunnel, culvert, bridge and some other projects. Different kinds of steel bar cutting machine in our company with high quality and reasonable price will be your ideal choice. Contact us quotation now. There are generally automatic steel bar cutting machine and semi-automatic steel bar cutting machine. 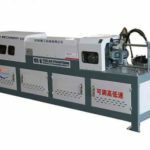 Automatic steel bar cutting machine can also be called electric rebar cutter, which is a model that the electric energy is converted into kinetic energy by a motor to control the cutting edge and achieve the effect of shearing steel bars. The semi-automatic steel bar cutting machine is a kind of manual steel bar cutter that it is usually manually controlled to cut the steel bar. 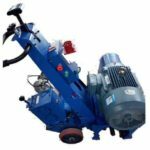 The most commonly used now is the hydraulic steel bar cutter, which can be divided into recharge model and portable steel cutting machine. Small volume and light weight makes it convenient to transport and move. 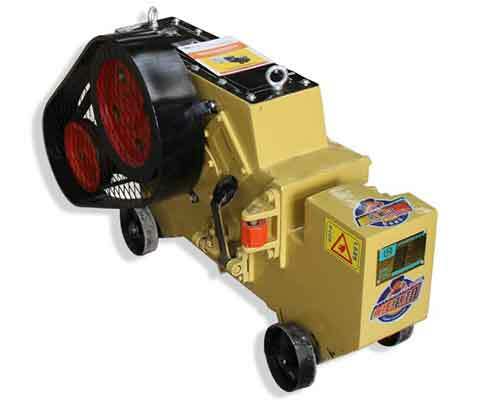 Compact and reliable structure makes it very easy to operate. Lubricity is good, the use of box closed structure can achieve gear splash lubrication. Long operation time that a refueling can be continuous operation for more than one month. Small function loss. The lubrication condition has been improved and the gear shaft uses the rolling bearing which has small resistance. Compared with the similar cutting machine, the power can be reduced by one third. 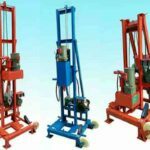 Easy to move and maintain, for that it is equipped with movable casters. 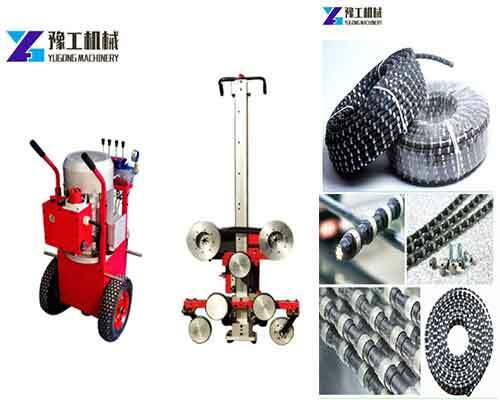 The machine is equipped with high quality components. 1.The lower part of the working table for picking up materials should be kept horizontal, and the length of the working table can be determined according to the length of the processing materials. When processing long steel bars, there should be special personnel to help and follow the instructions of operators. Please don’t push and pull at will. 2.Before starting, it is necessary to check that there should be no cracks in the cutter, the bolts of the knife holder should be tightened, and the protective cover is firm. Then operators should turn the pulley by hand to check the gear meshing clearance and adjust the cutter clearance. 3.After starting, the machine should be operated first without steel bars to check whether the transmission parts ans bearings are running normally. 4.Cutting can only be done when the machine reaches normal speed. Please use the middle and lower parts of the cutter when cutting. Steel bars should be fed into the knife edge quickly and the operators should press the steel bar on the side of the fixed blade to prevent the end of steel bars from ejecting and injuring people. Don’t use two hands to hand the steel bar on both sides of the blade and bend over to feed the material. 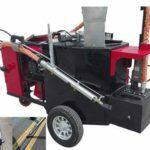 5.Don’t cut steel bars with a diameter and strength that exceed the range of the machine and red-hot bars. When cutting multiple steel bars at a time, the total cross-sectional area should be within the special range. 6.Please use high strength cutter when cutting low alloy steel and the shear diameter should conform to the mechanical nameplate regulations. 7.When cutting the short material, the distance between the hand close to the blade and the blade should be kept above 150mm. If the holding end of the hand is less than 400mm, the short end of the steel bar should be clamped by sleeve or fixture. 8.During operation, it is prohibited to directly eliminate the broken head and sundries nearby hand, and non-operators near the blade are not allowed to stay around the steel bars. 9.When the machine operation is found abnormal or blade skew, it should be stopped immediately for maintenance. 10.Only when the power is cut off and the machine is shut down can maintenance be carried out. 11.After the operation, the power should be cut off. Then please use the steel brush to eliminate the debris between the cutters, and the whole machine should be cleaned and lubricated. 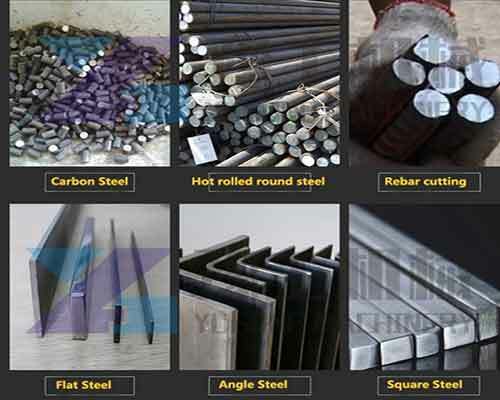 As a professional manufacturer of various types of small machinery, the production of steel bar processing machinery is our main business, including rebar threading machine, rebar upsetting machine, steel bar bending machine, steel bar cold extrusion press machine, threaded rebar couplers, rebar straightening cutting machine, etc… In addition to the production of reinforced steel machinery, we can also manufacture various kinds of small road machinery, such as, mini rod roller, floor blaster, road marking machine and so on, cutting machines for cutting concrete and other demolition engineering, well drilling machine for drilling water, borehole, exploration, as well as some other construction machinery. 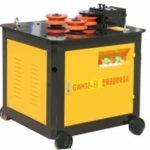 If you would like to purchase a steel bar cutting machine, you can send us email from this page for quotation now. 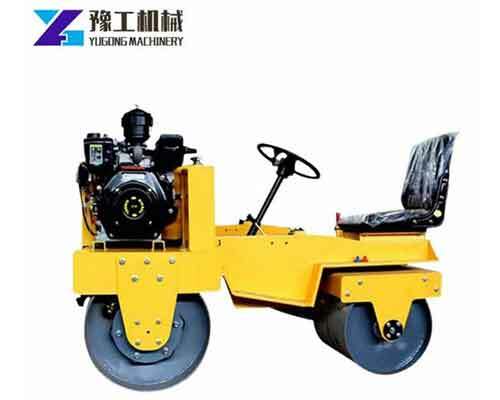 And if you are interested in other kinds of machinery in our company, you can visit the appropriate page to check more or contact us directly. We will reply you in 24 hours.